Yesterday, for Albion Online, a new content version already released. It's seems to that anything is quite interesting. To a certain extent, with respect to the Faye update, it also have been general improvements, at that same time, some interesting features also included. Are you now extremely excited? if you have been away for a bit, and you shoud be excited to dive back in and explore it. The first update of note is a new Mythical Forest biome where you’ll find plenty of wood and less than friendly Forest Spirits. No matter how you feel you’ll be able to express that in-game with the new emotes just added. Type /emote to see the entire list. 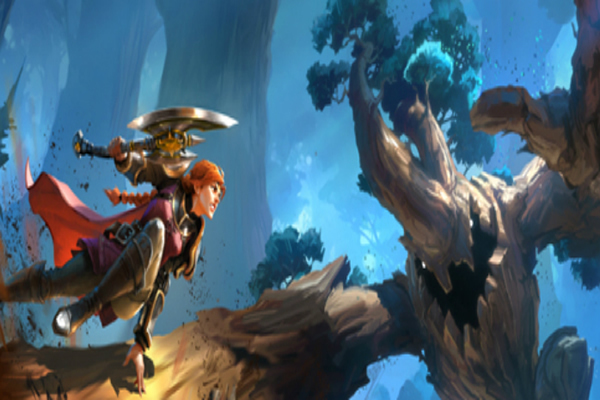 The last feature worth mentioning is the addition of 19 unique tracks added to the Albion Online soundtrack though there’s certainly more to be had in the Faye update and you can find the full list here. As we all know, Albion Online is a massively multiplayer role-playing game, it will be available for Linux, PC, Android as well as Mac, it's said to that all players inhabit one mega-server. Currently, it's in it's final beta.